Many of those who attended World Youth Day (WYD) this year reported that it was a life-changing experience and for Catholic Youth Ministry Perth Director Anita Parker, it was a chance to connect not only with her faith, but with the culture of Polish people who welcomed pilgrims into their homes and communities. 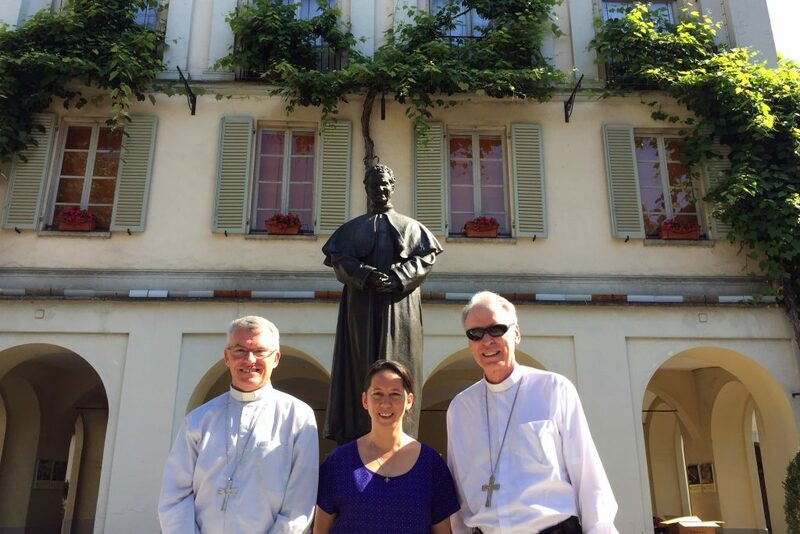 Ms Parker was one of 79 pilgrims from Western Australia, including some from Victoria, traveling with Perth Archbishop Timothy Costelloe and Auxiliary Bishop Donald Sproxton through Europe on a pilgrimage remembering the theme, ‘Walking in the Footsteps of St John Paul II’. 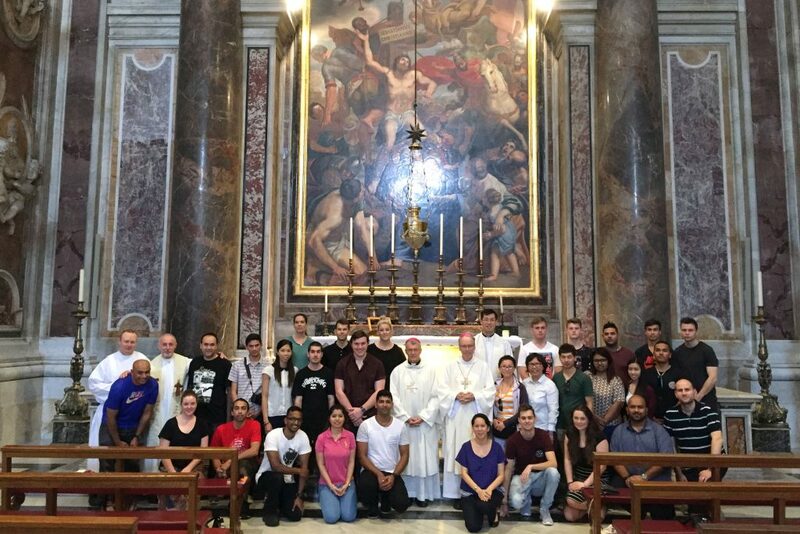 The journey took them to Rome, Turin and Warsaw, stopping at the birthplace of St John Paul, Wadowice, and one of his favourite pilgrimage sites, Kalwaria Zebrzydowska, before reaching the host city for WYD – Krakow. During their time in Warsaw, the young people had the chance to spend some time in the homes of local people and find out about their culture and faith, an experience which added great meaning to the pilgrimage, Ms Parker said. “‘Days in the Diocese’ is always a highlight for young people who get to spend some time with a local parish and being hosted in the homes of the local Parishioners,” she said. This experience and the atmosphere of Warsaw generally allowed pilgrims to appreciate and learn about the wider Polish culture and history, in preparation for later events in Krakow, Ms Parker added. “The immersion into the Polish culture, language, prayer life and of course food is a unique experience of each World Youth Day,” she said. “Local youth festivals, masses and touring the sites of the city of Warsaw – a city rebuilt after WWII, gave an initial launch into the WYD theme ‘Blessed are the merciful, for they shall receive mercy’ Matthew 5:7. Upon arrival in Krakow, the group attended a number of events, including a vigil with Pope Francis in which he encouraged young people to take the initiative and become more involved in their communities. “The Holy Father took many opportunities to laugh with young people, to excite them about their commitment to Christ and to draw them deeper into prayer,” Ms Parker said. “At the vigil, he asked the young people to ‘get off the couch’, to become ‘bridge builders’ in our society, and messengers of God’s mercy. Before returning to Australia, the group stopped in the city of Czestochowa and the village of Lichen Stary, where they could reflect on what they had heard and experienced. “The young pilgrims were able to take time to record their experiences, set some personal spiritual goals and prepare for returning back to work and studies with a new experience to take with them,” Ms Parker said.